GWEDE Mantashe, South Africa’s mines minister, ought to provide more information to the Zondo Commission regarding his role in efforts by the African National Congress (ANC) to re-open the bank accounts of companies owned by the Gupta family, said BusinessLive in an editorial today. 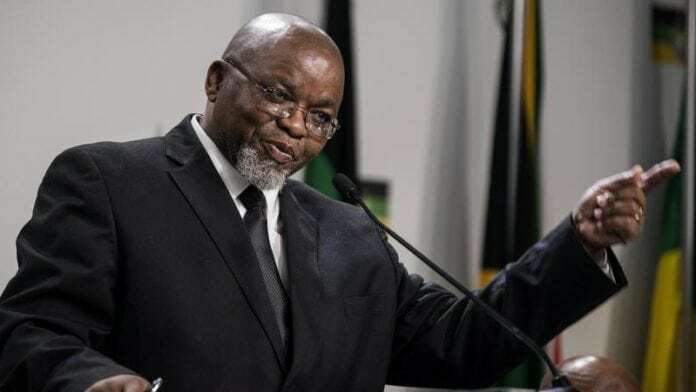 “Mantashe failed to explain to the Zondo commission why the ANC agreed to intervene on behalf of a private party in the first place, particularly one already heavily embroiled in allegations of state capture and corruption and linked to its own president,” the paper said. “He also failed to explain how the ANC national working committee and its NEC arrived at the conclusion that the banks were colluding, even though the party was given a detailed explanation of how banks arrive at a decision to close accounts,” it said. The matter refers to events in 2016 in which South Africa’s four largest banks closed the banking accounts of Gupta companies after previously identifying 72 “suspicious transactions” with a value of R6.8bn. A national working committee of the ANC, of which Mantashe was then secretary-general, met with the banks in an effort to persuade them to re-open the accounts. The committee later concluded that the banks were stifling black economic advancement among other conclusions. Chaired by deputy Chief Justice Raymond Zondo, the Zondo Commission is a judicial inquiry into allegations of state capture involving the Gupta family and its allies in business and government as well as government-owned companies.